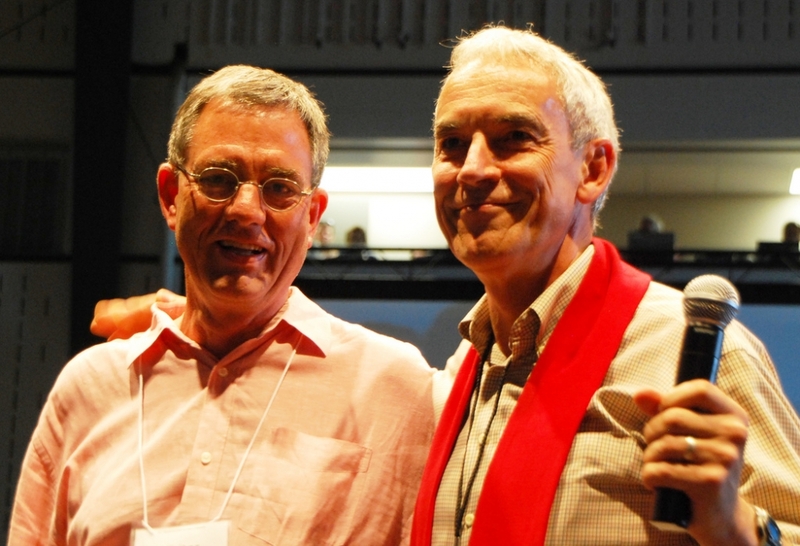 Twenty-five years ago this summer, in Victoria, the United Church of Canada General Council wrestled with the issue of the ordination of openly gay and lesbian people to the Christian ministry. The Council, the United Church’s highest court, which meets every three years, passed the initiative, with considerable, passionate and generally polite debate. I can remember: I was there, covering the event for Christianity Today magazine. I am trying to track down the piece as it appeared. Most of the clippings of stories that I wrote around that time are in a storage locker and not very accessible. But for those readers who can access libraries that keep CT back copies, my piece was entitled Canadians barely united on homosexual issue. It was on page 50 of the October 7, 1988 issue. I was reminded of this auspicious anniversary while reading United Church Observer interviews, currently online (www.ucobserver.org), with three people who were impacted by that debate. One of the three was Tim Stevenson, who was at the centre of the debate as a young, gay, aspiring minister who was, in effect, testing the court. At the time, there was a substantial number of ministers in the denomination who were believed to be “in the closet”, but the church was not yet lowering the barrier to ordination of known practicing gay or lesbian persons. Much of Stevenson’s story, both at time of the 1988 Council and subsequently, is in the Observer piece. The interviewer was Gary Stephen Ross, a Vancouver editor. His piece includes the fact that, for most of the years since 1988, Stevenson has been the partner and, latterly, the spouse of the current United Church moderator, Gary Paterson. Someone not mentioned in Stevenson’s story, is the person who carried the other side of the debate at that General Council, William Wan, a lawyer and minister who was at, the time, pastor of the Ottawa Chinese United Church. All of which brings me to the core of today’s OttawaWatch. It relates to something which appeared toward the end of the Stevenson Observer interview. After serving for some years at minister of St. Paul’s United Church in Burnaby, Stevenson went into politics, working on the left side of the political spectrum. He was an NDP member of the BC legislature and, after being defeated in the BC Liberal sweep of 2001, was elected to the Vancouver city council. There he became known as a caustic and, some would say “nasty” partisan critic – a much different sort of person than the one remembered by those who knew him in his student and pastoral days. I can’t say that I ever experienced his alleged vitriol, but I certainly heard about it from others. To illustrate my own view that politics sometimes turns otherwise gentle people into vessels of vitriol. It is a part of the adversarial system. To encourage faith-based people — no matter where they dwell on the political spectrum — to resist the vitriolic temptation. Is Tim Stevenson still the passionate idealist of 1988? Has the cut and thrust of politics hardened him? On Easter Sunday, at a Thai restaurant in Vancouver — just down the street from St. Andrew’s-Wesley United, where Paterson delivered the sermon as Stevenson sat proudly with their three daughters and four grandchildren — they both pondered that question.